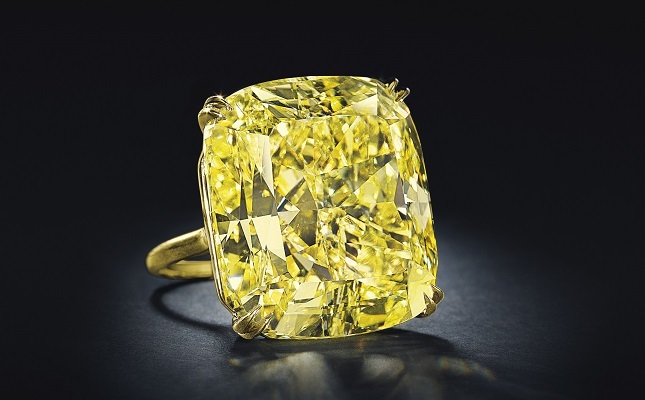 The overall fancy color diamond category marginally grew by 0.3 percent, although 3-carat and 5-carat fancy yellows showed a 2.7-percent and 4.4-percent increase respectively, largely driven by low availability at rough diamond tenders. Other strong performers in the fourth quarter included 1-carat and 1.5-carat Fancy Vivid Blues and Pinks, which showed a 4.4-percent and 3.7-percent increase respectively. After having shown strong growth in the previous two quarters, the fancy blue category registered a slight decline. The Fancy Color Diamond Index was largely flat on a year-over-year basis compared to the fourth quarter of 2014, with blue fancy color diamonds up 1.7 percent, pink fancy color diamonds saw a 0.5-percent increase and yellow fancy diamonds slipped 1.8 percent. “Mining companies have effectively shut down a considerable portion of their rough diamond production, especially in Africa, around mid-2015, resulting in market shortages across color and size categories, as reflected in the index results,” said FCRF board member and senior vice president at Dominion Diamond Corporation Jim Pounds. The FCRF is a non-profit organization, dedicated to promoting transparency, fair-trade principles and high ethical standards in the fancy color diamond industry. FRCF tracks fancy color diamond supply availability and pricing trends, and publishes the Fancy Color Price Index on a quarterly basis.